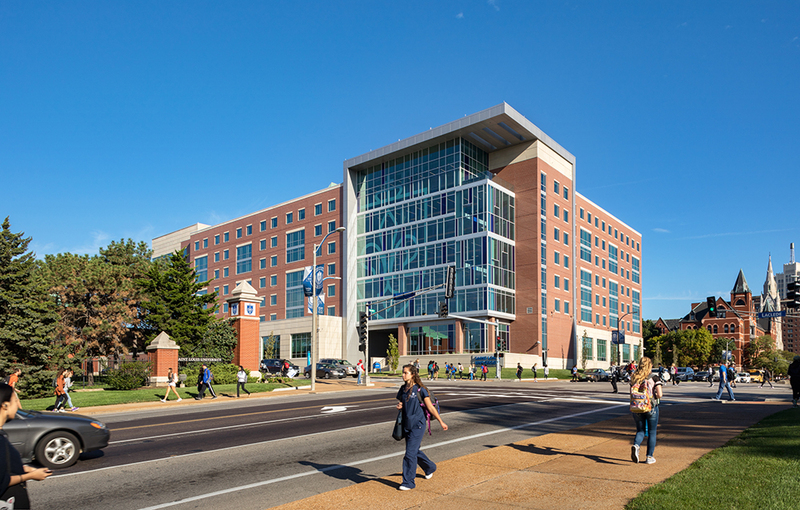 As part of a multi-phase housing plan, Hastings+Chivetta designed a seven-story, 237,000 SF residence hall and dining facility for Saint Louis University, dubbed Grand Hall. 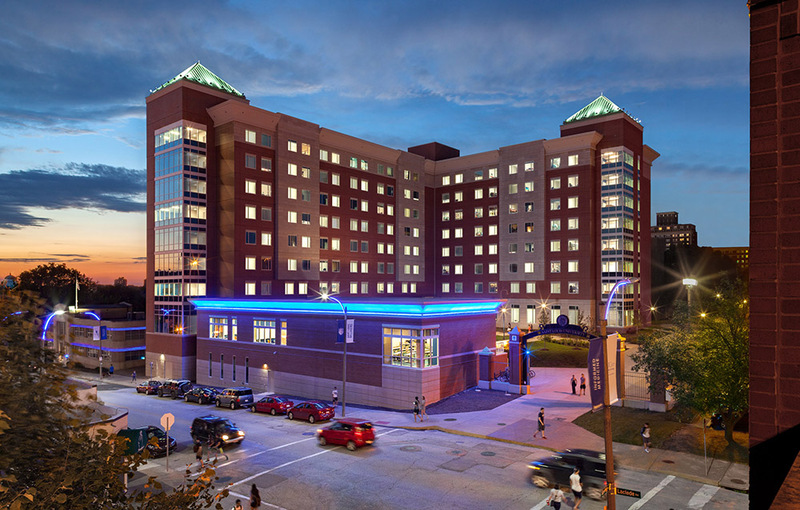 The facility includes 528 beds in single and double suite-style rooms. 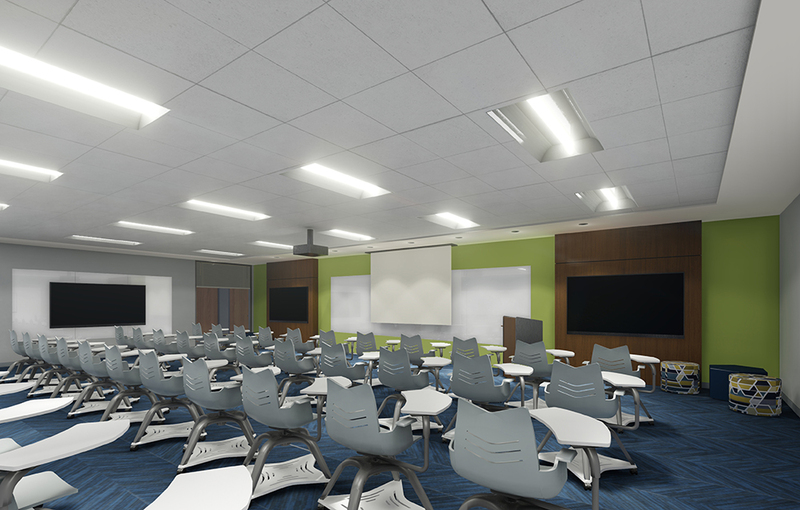 In addition to student housing, the building also includes a 740-seat campus dining hall, classrooms, study lounges and an outdoor plaza. 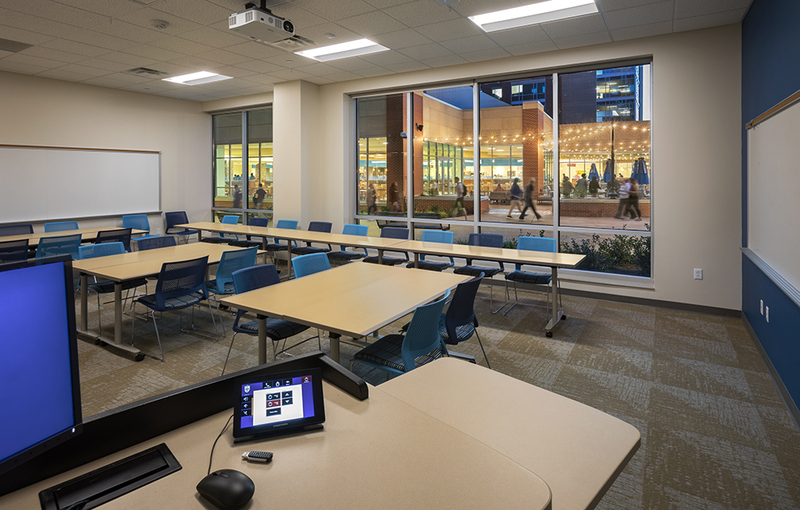 Located in the heart of campus, the building is designed for first- and second-year students. 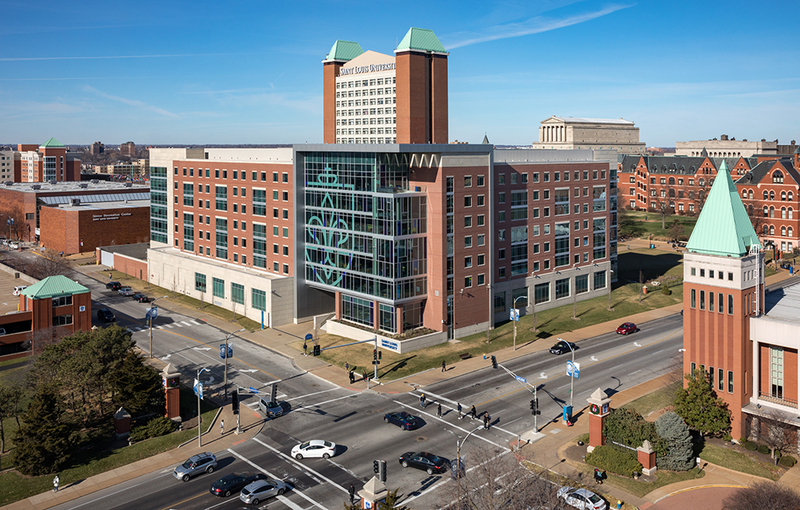 It is adjacent to the recreation center, also designed by Hastings+Chivetta. 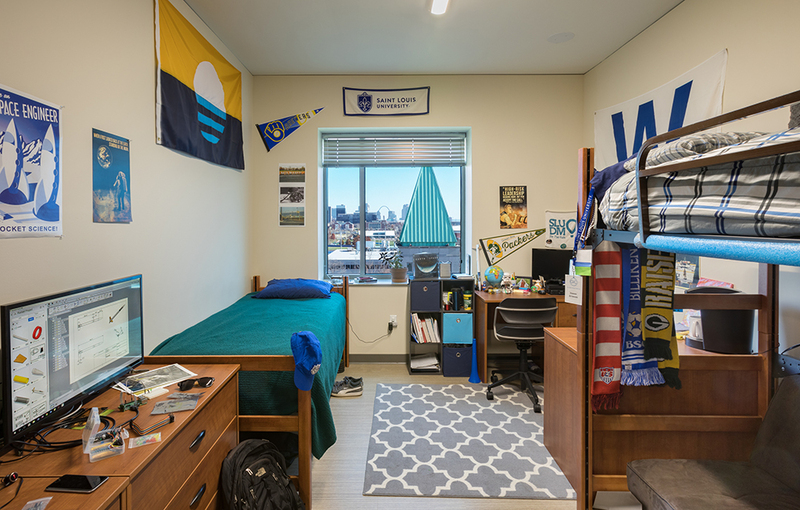 The new residence hall is the second of two such projects on campus — both designed by Hastings+Chivetta — that add housing for nearly 1,000 students. 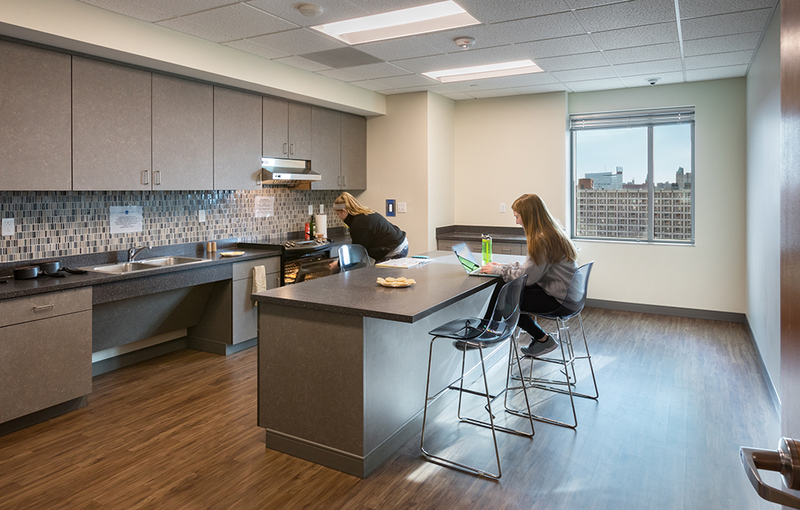 The new residence hall achieves the University’s strategic goals of enhancing retention and recruitment and increasing and improving on-campus living. 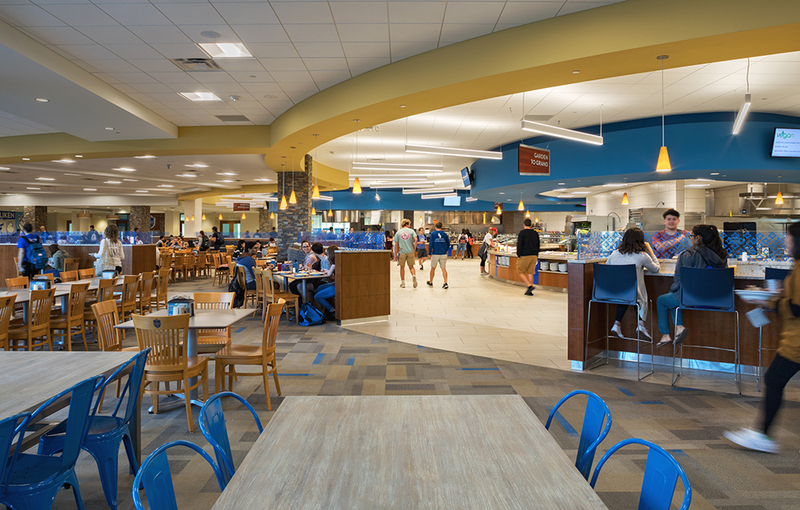 The hall creates a new experience for first-and second-year students with living learning communities. 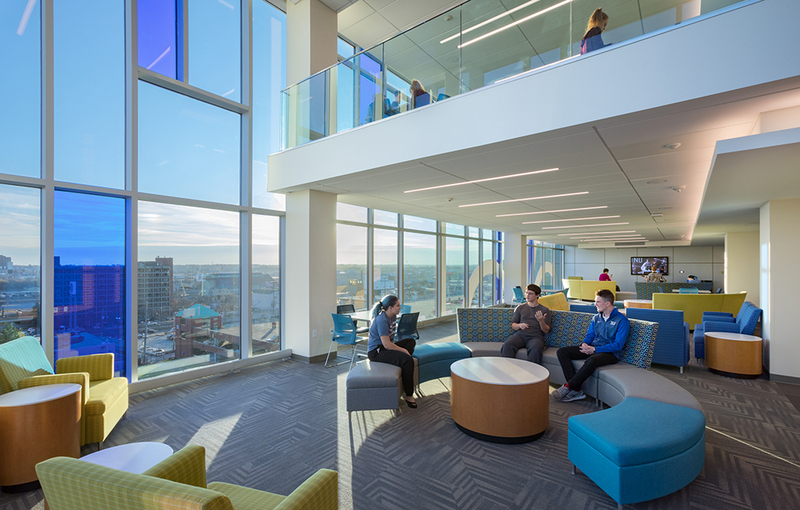 Integrated academic and student life opportunities exist through three Learning Communities, Diversity and Global Citizenship, Engineering and Innovation, and Ethical Leaders in Business, each with a dedicated residential floor and specialized “learning commons” to support academic goals. 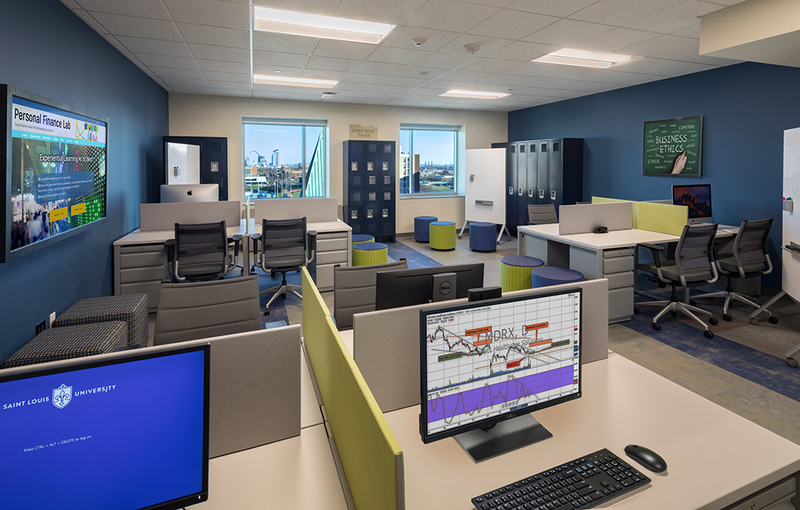 All floors support a variety of ways and places to learn and collaborate whether it’s in the lounges at the end of each floor, classrooms or designated study rooms.